I recently attended the Longleaf Partnership Council (LPC) meeting held in conjunction with the Longleaf Alliance’s Biannual meeting in Alexandria, Louisiana. The LPC meeting was a day and a half of intensive discussions with all the partners involved. 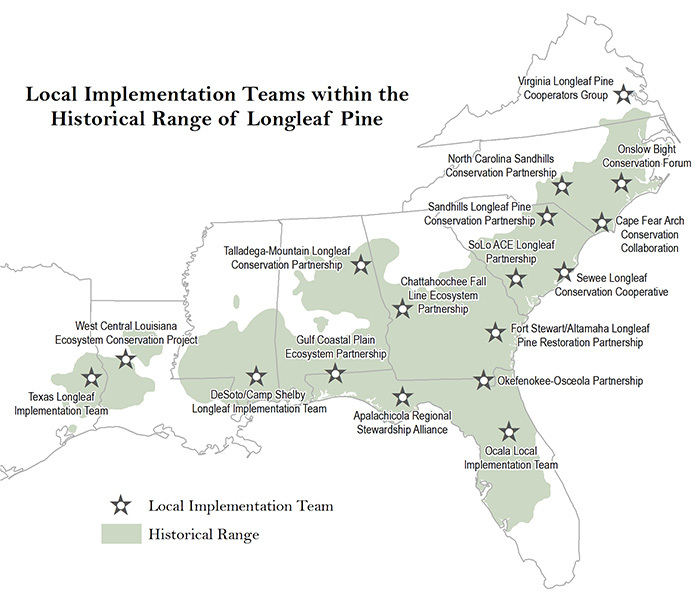 The LPC is responsible for implementing America’s Longleaf Restoration Initiative (ALRI), which is a collaborative effort of multiple public and private sector partners which actively supports range-wide efforts to restore and conserve longleaf pine ecosystems. Included in this meeting were presentations from the Southern Region of the U.S. Forest Service and the national forests within the Southern Region that are working to help meet the ALRI goals. In 2017, Ken Arney, acting regional forester, announced the Southern Region’s “Million-Acre Challenge. It prompts the USFS Southern Region to increase the pace and scale of restoration within the longleaf pine’s historic range. Eight national forests within the region will take part in the challenge. 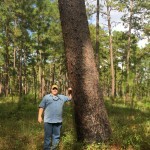 In the ALRI 2017 Accomplishments Report, Ken Arney said “When it comes to biodiversity, few ecosystems in the continental U.S. can contend with longleaf pine, but after years of overharvesting and land-use changes, longleaf pine forests have almost totally disappeared from the landscape.” The ALRI partners’ vision is to have functional, viable longleaf pine ecosystems with the full spectrum of ecological, economic and social values inspired through the voluntary involvement of motivated organizations and individuals. The National Bobwhite Conservation Initiative has a permanent seat at the LPC table. The 12th Biennial Longleaf Conference, hosted by the Longleaf Alliance, followed the LPC meeting. Over 300 longleaf enthusiasts attended. 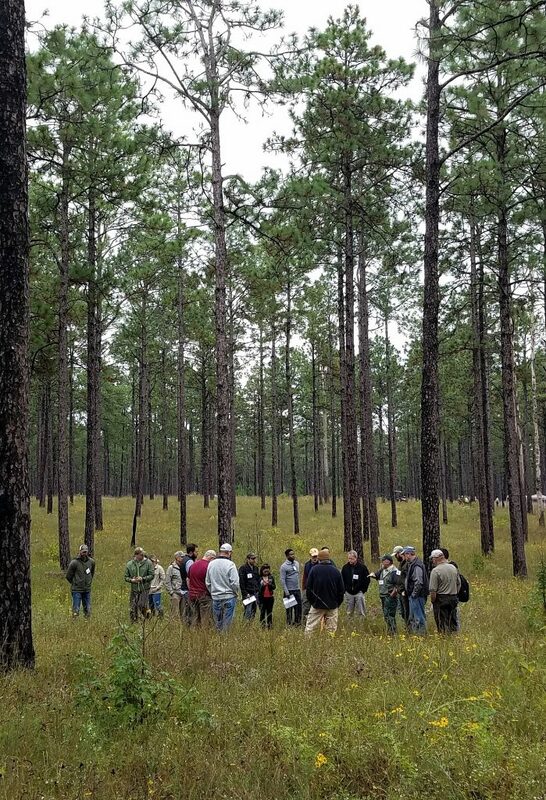 Participants included landowners from across the longleaf region, which stretches from southern Virginia to east Texas, foresters, biologists, professionals from the Natural Resources Conservation Service, the US Forest Service and several NGO groups that are involved in the longleaf restoration effort. The meeting included great speakers to open the meeting, an excellent plenary session, many great breakout sessions that had too many topics that I wanted to hear about with too many of them concurrent. To me, the highlight of the conference was the field trip. Traveling south from Alexandria, we headed first for Beauregard Parish and Daigle Farms, the 2017 Lower Mississippi Valley Joint Venture Private Landowner Conservation Champion and a Louisiana Department of Wildlife and Fisheries Natural Heritage Site. Once a clear-cut site, this property now represents a functioning longleaf pine savanna, supporting abundant wildlife habitat, wood products and native understory forage for quality Braford and Brahman cattle. This property also maintains foraging and nesting habitat for the red-cockaded woodpecker along with maintaining habitat for bobwhites, wild turkey and other nesting grassland birds. The landowner also understands the importance of water quality and maintains many ephemeral wet weather areas on the property. Prescribed fire is also used in conjunction with the cattle and timber harvesting to maintain the habitat on Daigle Farms. Owner David Daigle also received the Gjerstead/Johnson Landowner of the Year Award presented by the Longleaf Alliance. This award recognizes a private landowner for ensuring the future of the longleaf ecosystem on private land. Following our visit at Daigle Farms and lunch at one of the recreation areas on the Kisatchie, we headed to the Vernon Unit of the Calcasieu Ranger District for presentations by Kisatchie National Forest staff, along with other partners, about management activities within the Vernon Unit and surrounding areas. The Vernon Unit has earned the unique nickname of the “Burnin’ Vernon” because of the frequent use of prescribed fire that has shaped the longleaf forest here. Because of the frequent fire there is a diverse and rich understory of native warm season grasses which are dominated by bluestem varieties, forbs and fall flowering species. The red-cockaded woodpecker, bobwhites, and the Louisiana pine snake all find a home on the Vernon Unit. Active and compatible timber management is being practiced and coexists with this abundant diversity of species. We were able to learn about work in areas of prescribed burning, endangered species, wildlife habitat management and timber management and the partnerships that exist to make all of this happen. 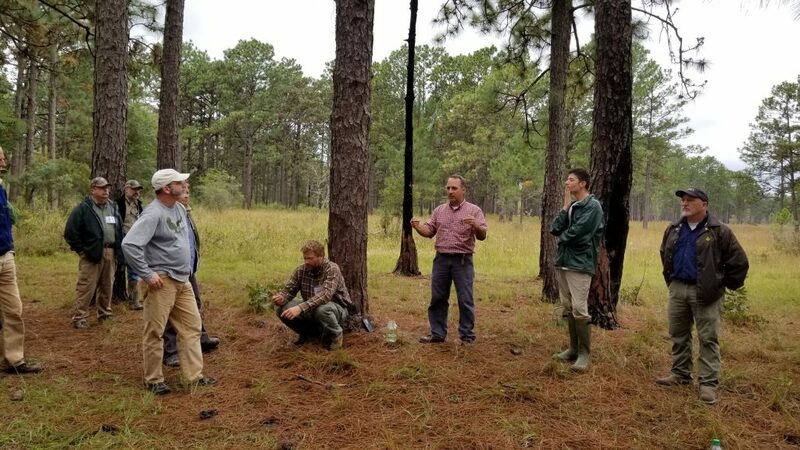 We heard Cody Cedotal, of the Louisiana Department of Wildlife and Fisheries, describe the ongoing work on the Kisatchie, where the LDWF and USFS — along with other partners — are working to create a bobwhite focal area that will be included in the NBCI Coordinated Implementation Program (CIP). A personal highlight occurred during the endangered species portion of this tour. After ending his presentation on RCWs, the speaker played electronic calls and was able to call up four birds to the cavity tree that was directly behind the tent. I have seen RCWs looking through a scope from the ground into the nest, but never have had the opportunity to see one flying around and on the outside of a cavity tree. The longleaf pine ecosystem is said to be the most diverse ecosystem outside of the tropical rainforest. 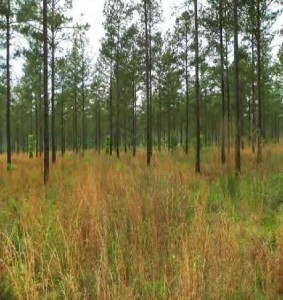 Before European settlement, it is estimated that longleaf pine covered 90 million acres across the southern landscape. Through modern logging practices, urban and suburban development, intensive forestry, agriculture practices and fire suppression, longleaf pine has been reduced in acreage by over 80 million acres. These are some of the same reasons are some why we have seen the demise of the Northern Bobwhite. In 2010, when the ALRI plan was written, there was approximately 3.4 million acres of longleaf pine. It is currently estimated that there are 4.1 million acres across the landscape. The 15-year goal of the plan is to have eight million acres of longleaf pine in 2025. The goal includes establishing approximately 190,000 acres per year, identifying and converting mixed stands that have a longleaf component to longleaf-dominated stands, and improving and maintaining the existing acreage, with an emphasis on increasing the acreage of prescribed fire accomplished annually. The Longleaf Restoration Plan has some lofty goals, but with all of the partners involved the initiative is well on its way to its 2025 goal. To reach these goals, on-the-ground implementation requires coordination at state and local levels across all agencies and across all lands. Currently, there are implementation coordination teams at 17 locations across 9 states, as shown on the accompanying map. By participating in the Longleaf Partnership Council, NBCI can help shape efforts to not only restore an important ecosystem but also provide guidance in restoring an iconic bird such as the Northern Bobwhite across that ecosystem. Are you a landowner that has prescribed burning to be completed in the upcoming months? If so, you should already be in the planning stages for what needs to be done. And one of the most important items in your toolbox is a plan of operations that outlines how, when and where the burn will take place. Backing fire technique, as illustrated in the U.S. Forest Service’s “A Guide for Prescribed Fire in Southern Forests.” To see the guide, click on the illustration. If you have plans to conduct a prescribe burn this burning season, contact your local forestry agency as soon as possible to get on their list for firebreak installation. If you’re not comfortable with conducting your own burn, or you don’t have a contractor, ask if they assist landowners in conducting prescribed burns. If so, get on that list too. Just remember, they may not always be able to get to everyone that requests assistance because of varying circumstances, i.e., weather, number of requests, wildfire danger, etc. If the local forestry agency doesn’t assist with burning or they have a large backlog of requests, they should have a list of contractors who conduct prescribed burning in your area. Another beneficial item in the toolbox is a map of the area to be burned. It should show where firebreaks should be installed, along with identifying any natural firebreaks that may be in the burn area. A map should also show any sensitive areas and/or areas such as improved areas, areas of young reproduction, etc. that you want excluded from fire. The map should also indicate the desired wind direction for conducting the prescribed burn, where the fire should be ignited, control areas, etc. The fire weather forecast is your best friend as it comes closer to the time for conducting any prescribed fires because the weather doesn’t always cooperate. 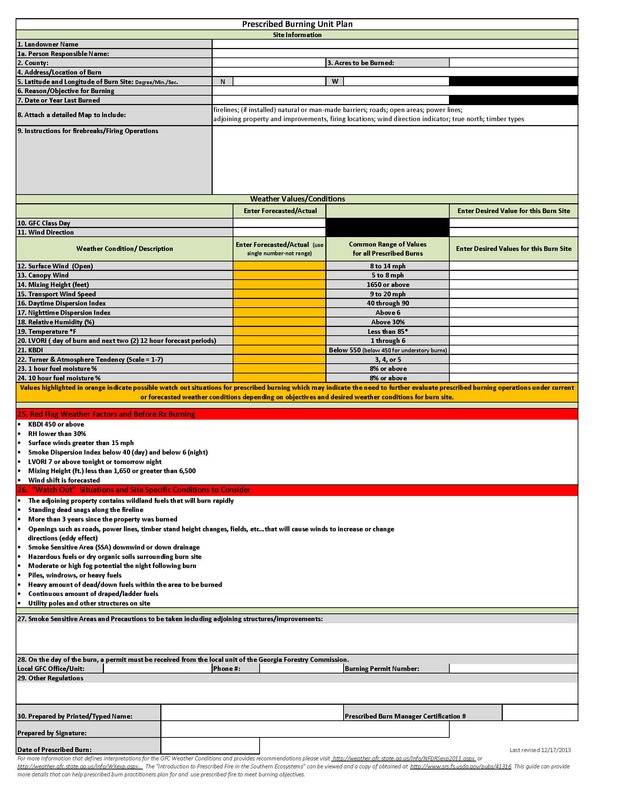 Plans may be to burn on a certain day, but the fire weather forecast may not be the best on that day, so burn managers and landowners have to be flexible with their calendar. Give Prescribed Burning Your FIRST Priority When Weather Conditions Are Favorable. Some states also require notification be given when conducting a prescribed burn and a permit number issued. It’s always a good idea to notify the authorities when planning a prescribed burn, regardless. When burning for bobwhites and other wildlife, prescribed burns should be carried out on a more frequent basis than when burning for other purposes (preferably every TWO years and no more than three years between fires). Burning on a 4-5 year rotation WILL NOT maintain bobwhite habitat. Burn units should also be smaller (a goal should be 50 acres or less) with adjacent areas of approximately the same size being left unburned. 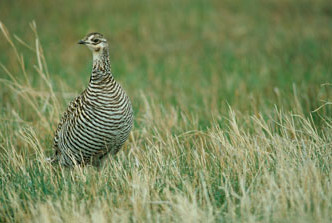 Burning large unbroken areas at one time leaves large areas with no escape cover for bobwhites. Having a mix of smaller burned and unburned areas within a stand or forest provides plenty of escape cover. Unburned areas should be close enough to burned areas for short fliers like bobwhites. Remember, prescribed fire is one of the most important tools, that we, as landowners and land managers, have in managing and maintaining the habitat that we want and that bob requires. The other, in my opinion, is the paint gun for marking the trees that we either want to leave or remove from the forest. But that is for another time. 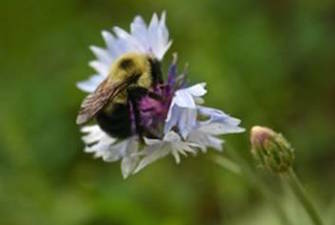 The Farm Service Agency (FSA), which administers the Conservation Reserve Program (CRP), announced in December the availability of $10 million dollars to provide financial incentive to eligible CRP participants to promote pine savanna habitat or other beneficial wildlife practices such as tree thinning and prescribed burning. These management tools are critical for restoring and creating diverse and healthy savanna ecosystems, and will help address the habitat needs for threatened and endangered species, candidate species, northern bobwhite and other grassland and early successional birds, state species of greatest conservation need, pollinators, and others. FSA is taking requests from landowners and will close out the second batching period today, Wednesday, May 31. Although today is the deadline for the current batching period, landowners should have ample opportunity to take advantage of this incentive. FSA is expected to take requests for this incentive until all the funding has been utilized. 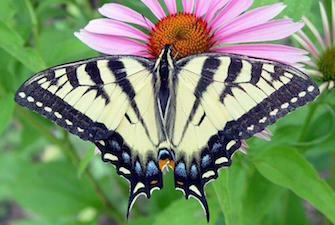 If you are a landowner that is enrolled in CRP with tree practices and you are interested in improving habitat for bobwhites, bees, butterflies, other pollinators, deer, turkey, certain songbirds and other wildlife you should consider visiting your local FSA office (http://offices.sc.egov.usda.gov/locator/). If a landowner chooses to prescribe burn and thin their CRP trees they could receive up to $150.00/acre. Prescribed burning alone or thinning alone means that the landowner would receive a lower incentive payment. Before landowners can be paid for this work, they need to insure that they have a current conservation plan or schedule of operation with these practices included in them. If you’ve been paying attention to the news you have likely seen information on the many wildfires currently burning across the southeastern United States as well as those that occurred this summer in the western part of the country. In the Southeast, we’re having unprecedented wildfire activity for this time of the year. Over the past few years these wildfires are tending to occur more often, burn at higher intensities and burn more acres. Fire has been a part of the natural process throughout time and if used properly can have a positive effect on the environment. Prescribed Fires can be defined as a safe way to apply a natural process, ensure ecosystem health and reduce wildfire risk. Wildfire is one of the most destructive forces known to man and can be defined as any unwanted or unplanned fire burning in shrub, forest, or grassland. Many of these wildfires occur within the Wildland-Urban Interface (WUI), therefore making them very expensive to fight. The WUI can be defined as areas where homes are built near or among lands prone to wildland fire. Depending on the area of the country, fire departments might refer to wildland fires as brush fires, forest fires, rangeland fires, or something else; however, they are all part of the WUI and all pose the same threat to local assets. The increase in the WUI threat has been steep because of continued development and exposure. Last August, the United States Forest Service published a report titled The Rising Cost of Fire Operations; Effects on the Forest Service’s Non-Fire Work. In this report the Forest Service projects that by the year 2025, 67 per cent of its budget will be used for fighting wildfires. The cost of fighting wildfires in 2015 was 52 per cent of the Forest Service budget compared to only 16 percent in 1995. This means that over the years less money is available to both the National Forest System and the states to conduct needed management of the natural resources on the ground. According to the same report, six of the largest wildfires since 1960 occurred after the year 2000. There are many reasons for the increase in wildfire activity — climatic change, more homes being built in the Wildland-Urban Interface, the Forest Service’s inability to manage the national forests due to litigation and frequent protests about timber management, just to name a few. With these increasingly large wildfire seasons the Forest Service has no option but to take money from other important programs, sometimes called “fire borrowing,” to help pay for the fighting of these wildfires. This means that other program priorities such as vegetation and watershed management, capital improvements and maintenance, recreation, wilderness, private lands management, wildlife and fisheries habitat management, land planning and inventory, prescribed burning and monitoring all suffer at the expense of fighting wildland fires. 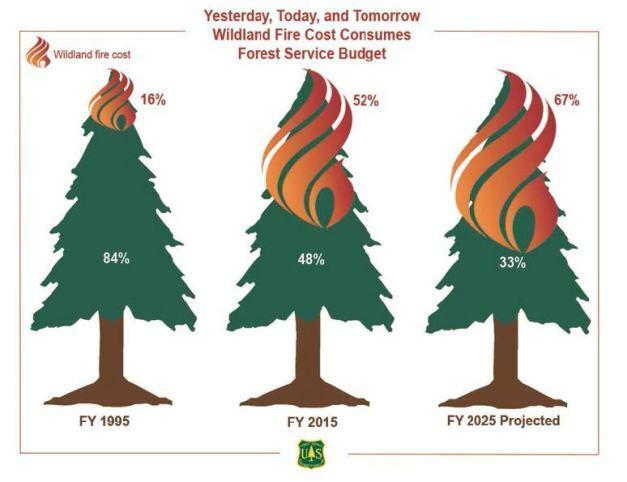 The USFS budget for wildland firefighting is based on a 10-year rolling average, which means the budget is based on the last 10 years firefighting cost. Once stable, the costs of fighting a growing number of larger fires is making it more expensive and unpredictable to estimate what the future cost will be. The NBCI is currently working with the Southern Region office and other region offices in an attempt to promote better habitat for northern bobwhites and other species that require early successional savanna grassland habitat in our national forests. It requires funding from the Forest Service, state partners, non-governmental organizations and other groups to get habitat management accomplished, such as with frequent low-intensity prescribed fires that reduce the risk of damaging wildfires. Funding that is budgeted for bobwhite habitat work on national forests is being re-routed during the middle of the year to fight wildfires at the expense of habitat management. Re-routing these funds also impacts funding for forest health, stewardship, forest inventory analysis and other programs that state forestry agencies manage. Therefore, the ability to manage natural resources on national forests and provide technical assistance to private landowners is hindered. Due to this lack of management, insect and disease infestations are on the increase, species of animals and plants that need early successional forests are being lost, every year wildfires are increasing in size and in landscapes where there are dead and dying trees, therefore making them more difficult to control. There is no quick fix to solving this problem, but it is time for action to insure that the nation’s forests are protected from wildfire and the federal land management agencies are able to properly manage the areas that have been entrusted to them by the American citizens. Over the past couple of years several bills have been introduced in Congress which would help alleviate but would not fix the problem. Washington needs to fix the way wildfire suppression funding is budgeted and to look at alternate ways to fund wildfire disasters when the cost of fighting them exceeds the budget. Forest Service funding for doing necessary on-the-ground management should be maintained for that purpose instead of so frequently being ”borrowed” for emergency wildfire response. Partnerships are key to getting habitat work on the ground and restoring northern bobwhites to huntable populations. One such partnership was created after many months of work between state wildlife agencies, the United States Forest Service (at the Region 8 office in Atlanta, GA and the Washington DC headquarters), along with efforts from several staff members of the NBCI. This past June a working agreement was signed between the Region 8 office, National Bobwhite Conservation Initiative, the GA Wildlife Resources Division, the South Carolina Department of Natural Resources, the Oconee Ranger District of the Chattahoochee-Oconee Forest and the Enoree District of the Sumter National Forest. This agreement will allow for the USFS and the wildlife agencies within Georgia and South Carolina to create and manage suitable habitat on a scale that is sufficient enough that bobwhites can survive over time, and to prove that habitat is the missing piece in restoring bobwhite populations. Funding for the NBCI Focal Area projects came from the USFS Washington Office via hazardous fuels funding in the agency’s State and Private Forestry Office. The agreement didn’t happen overnight. It started several years ago with conversations between staff of the GA Wildlife Resources Division Bobwhite Quail Initiative, the Oconee Ranger District and the Piedmont National Wildlife Refuge. These meetings laid the groundwork for future meetings in the fall of 2015 between USFS Region 8, USFWS Region 4, GA WRD and NBCI. 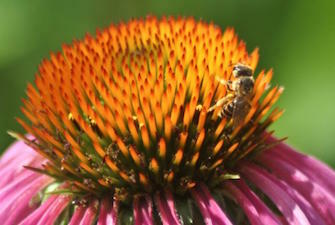 These meetings were held so that staff from the federal agency region offices could be made aware of the importance of early successional habitat and that without it species like the northern bobwhite, a number of other declining priority songbirds, and pollinators would continue to decline. These first meetings were just a beginning. As NBCI forestry coordinator, I was asked by Tony Tooke, Regional Forester for Region 8, to poll the state wildlife agency quail coordinators within the Southern Region on which National Forest properties within their states that had highest potential for quail management and partnerships between the USFS, the states and NBCI. Findings of this survey were provided to Forest Service Staff in follow-up meetings. Subsequently, the Region 8 office issued a briefing paper to Forest Supervisors in five states identifying their national forest lands as highly suited to quail habitat restoration. While talks continued throughout the winter months with region staff, other NBCI staff was talking with Forest Service staff in Washington. These talks eventually led to an offer from the Washington office for funding that could be used on National Forest lands for quail habitat restoration. NBCI had the responsibility of writing a proposal and working with the WO and RO to iron out the details of the proposal. After more discussions everyone was able to agree on projects where the funding could be used to best benefit bobwhites and other associated species on two national forests in Georgia and South Carolina. Even though these two areas were chosen, there are still many other opportunities to manage for bobwhites and other associated early successional species on Forest Service lands within the 25-state National Bobwhite Conservation Initiative. Just recently, at the National Bobwhite Technical Committee meeting in Lincoln, NE, announcements were made by the state quail coordinators from Louisiana and Alabama that progress is being made in identifying areas on National Forests within their states (Conecuh in AL and Kisatchie in LA) that could be intensively managed to create bobwhite habitat and classified as official NBCI Focal Areas. Why do we need to do prescribed fires in our woods? It’s a question that both foresters and wildlife biologists get, especially this time of the year, when there is smoke from prescribed fires wafting through the air. ecosystems developed in fire-prone settings. Fire was (and is) as natural and needed as the rain. Native Americans, early settlers and landowners into the 21st century saw positive results — on wildlife and vegetation — of natural fire and disruptions that thinned the forest. They replicated it successfully to improve both. In more recent times, burning on the landscape was abandoned in favor of total fire suppression. Combined with a cultural reluctance to purposefully manage forests, bobwhites and other species have been pushed out of much of the forested landscape. But that is changing. More public land managers in states in the bobwhite’s core range have adopted an ecosystem management approach and private landowners have those models – and results — to see. Prescribed fire can be defined as “a safe way to apply a natural process, ensure ecosystem health and reduce wildfire risk.” Prescribed fire is applied on the landscape by trained professionals using a written plan that guides them on how to safely burn to accomplish their goals. Landowners and natural resource managers conduct prescribed fires for many reasons. 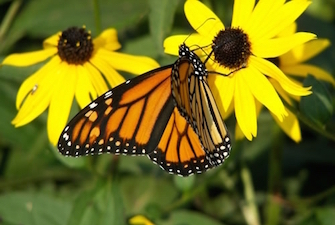 They include improving wildlife habitat, reducing hazardous fuels, managing competing vegetation, perpetuating fire-dependent species, controlling insects and diseases, and more. Not all prescribed fires are the same though. If you are a landowner wanting to create better habitat for wildlife on your property, especially bobwhites, prescribed fires need to be more frequent and in more open savanna-like forests or grassy woodlands. Now, I bet you are asking why these fires need to be in open forests. To maximize quail habitat, there has to be both sunlight on the ground and fire. You must ensure that these two ingredients reach the ground in the right mix to maximize the potential for that habitat. And this approach will work on pine and mixed pine and hardwood stands. Today, most forest stands have a closed canopy with little or no sunlight reaching the forest floor. Quail and many other species require a vigorous and diverse herbaceous ground cover which includes a mix of native warm season grasses for nesting, forbs for seed and insect production, and scattered clumps of woody shrubs for protection from weather and predators. Without abundant sunlight reaching the ground none of these habitat components will develop. One rule of thumb is that when you walk through your woods, you should have sunlight on your head-and your boots- half the time. To get these open stands of forest and to allow sunlight to reach the ground, commercial timber harvest and thinnings have to occur. These timber harvests can provide income for other land management expenses prior to final harvest. But to achieve enough sunlight on the forest floor for these purposes, thinning needs to be heavier than your typical forest management thinning … but that allows the remaining trees to grow faster and straighter, creating a more valuable timber product in the end if that’s what the landowner desires. In southern yellow pine forests most commercial thinnings are done down to a basal area of 75 – 80 square feet. To improve and maintain habitat for bobwhites, pine stands should be thinned and maintained at a basal area at 50 square feet or less. 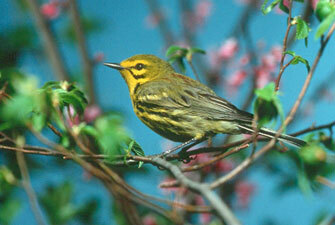 Hardwood stands would need to be thinned and maintained at 30-40 square feet of basal area. Basal area is a common term used to describe the average amount of an area (usually an acre) occupied by the tree stems. 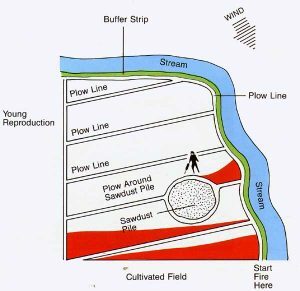 It is defined as the total cross-sectional area of all the stems in a stand measured at breast height, expressed as square feet per acre. So that all measurements are standardized tree diameter is typically measured at 4.5 from the ground or approximately breast height. This is referred to as diameter at breast height (DBH). Subsequent and frequent applications of prescribed fire – generally every 2-4 years, depending on the situation – are necessary to clear the duff on the forest floor, bare some of the soil, increase soil surface temperature, release nutrients and allow the native grasses and forbs already in the seed bank to germinate. In areas where prescribed burning may not an option, some of its benefits can be achieved with mechanical and herbicide treatments. Best results will require repeated applications of fire at regular intervals. 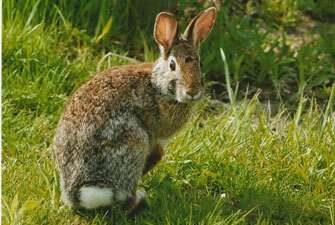 Quail habitat will not be maintained with only a couple fires, or fires at infrequent intervals. In addition, neither thinning alone nor fire alone will provide the desired understory development, composition and structure, especially for bobwhites. Finally, if you want to investigate this opportunity further, please contact a local wildlife biologist or a professional forester with experience in both wildlife habitat management and timber production. NBCI Forestry Coordinator Steve Chapman is a certified forester from Georgia with 30 years of experience and a reputation of working closely with biologists to create wildlife habitat in forested settings. Chapman promotes NBCI’s forested grassland habitat objectives for bobwhites and other grassland birds at national, regional and state levels, including serving as a liaison and technical resource for state, federal and other conservation entities, engaging the U.S. Forest Service at regional and national levels to increase opportunities for bobwhite habitat projects and working to improve forest management and prescribed fire policies in support of forested grasslands habitat range-wide. A graduate of the University of Georgia’s Warnell School of Forestry and Natural Resources with a B.S. in Forest Resources, Chapman worked with the Georgia Forestry Commission for 27 years before launching his own habitat management services company. Chapman is active in the Society of American Foresters, serves on the board of his local chapter of the National Wild Turkey Federation, was a principal in the development of the first Longleaf Academy, served on the NRCS State Technical Committee and was a member of the Southeastern Forestry and Wildlife Working Group.